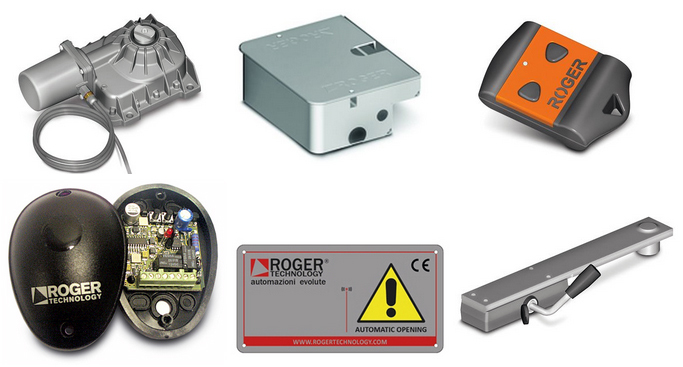 With more than 25 years experience, Roger Technology is one of the leading Italian companies who specialise in the design and production of Gate Automation systems for residential, commercial and industrial use. 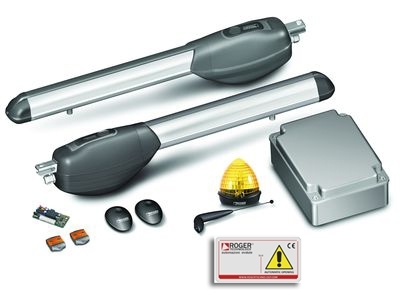 Their innovative approach ensures that Roger Technology are consistently developing new products for the Gate Automation market and with an exceptional standard of reliability and safety, Gate Automation Solutions Ltd are confident that we are providing our customers with the very best products available. There are various options available when choosing your Gate Automation equipment, below you will find information on the various product ranges to help you decide the best option for you. From here you can go directly to Roger Technology's website to view more of their products and download technical specifications. Our staff are always available to discuss your requirements and provide assistance. This is the most popular choice for decorative estate gates. The advantage of the underground system is that the motor is contained within the foundation box which is concreted into the ground. Only the box lid is visible at ground level providing a neat and unobtrusive appearance. The R-21 Underground Kit can automate gates up to 3.5 metres wide and is suitable for gates that weigh up to 800kg per leaf. The opening angle is up to 110 degrees as standard and has built in mechanical stops. The opening angle of the gates can be increased to 125 degrees with the optional LT300 lever group or 360 degrees with the optional LT301 chain drive kit. We have a comprehensive range of arm operators available which are suitable for automating double gates from 2.5metres to 5.00 metres in length and a maximum capacity of 500kg per leaf. Heavy duty arms are used for Commercial and Industrial sites. Arm automation is suitable for many applications and is generally cheaper and faster than installing an underground system. On sites where water drainage is an issue, the use of above ground arm automation may be a more suitable option than the underground automation. 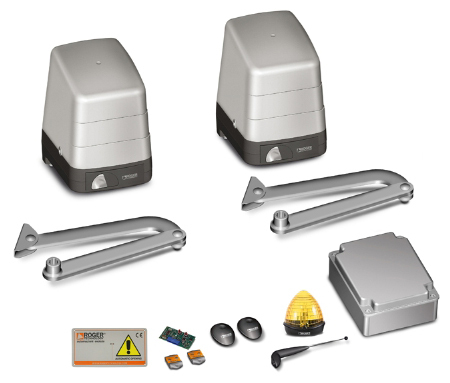 It is also easier to install arm automation to existing gates with minimum disruption. This type of automation is suitable for gates where the geometry rules out the use of arm automation. The motor is fitted to the inside of the pillar and the bracket is fitted to the gates. The electro-mechanical system is suitable for gates up to 3.5 metres in length and a maximum weight of 400kg per leaf. These systems are used when the driveway slopes up and away from the gates – this would prevent a swing gate from opening. A sliding gate runs along a track which is fixed to the ground, sliding gates often move directly parallel to an existing fence line which is ideal when there is limited space. We have a range of systems which can automate gates from 300kg to 2200kg per leaf. Cantilever gates operate in a similar way to sliding gates using the same automation equipment but are used when the ground is uneven or slopes across the width of the drive. A concrete foundation pad is installed and a carriage with wheels is secured to the concrete pad. The gate is secured to a special monorail which passes over the carriages whilst operating. An additional section of bottom rail is required – the cantilever section. It is a combination of the cantilever section and concrete base and carriages that counterbalance the weight of the gate and allows it to operate without coming into contact with the ground.